Yuwiss is a professional electronic products manufacturer who has been devoting ourselves to make and promote electronic products that are user-friendly and practical. Our slogan is everything is as you wish, we will do everything to make your dream come true. 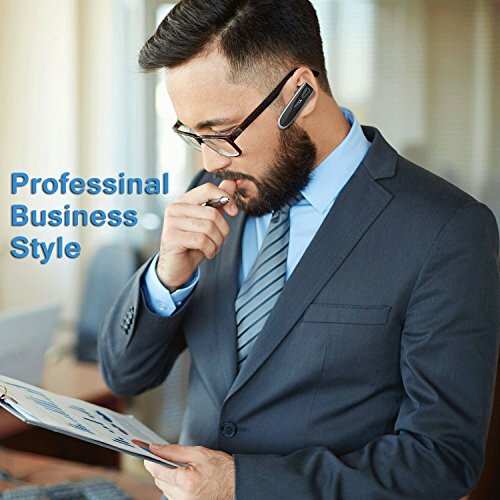 With 7 days continuous standby time and over 20 hours talking time, this Bluetooth headset for cell phones allows you enjoy the business conversation and music to the end. 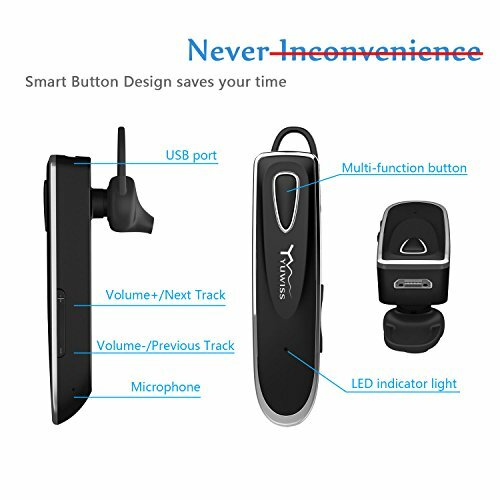 Never fall out, this Bluetooth headset for iPhone can completely stay in your ear because of 3 different ear tips and additional ear hooks. Built-in high quality microphones and speaker, this Bluetooth headset with microphone deliver you good sound and make sure the one who you are talking to can hear you well. 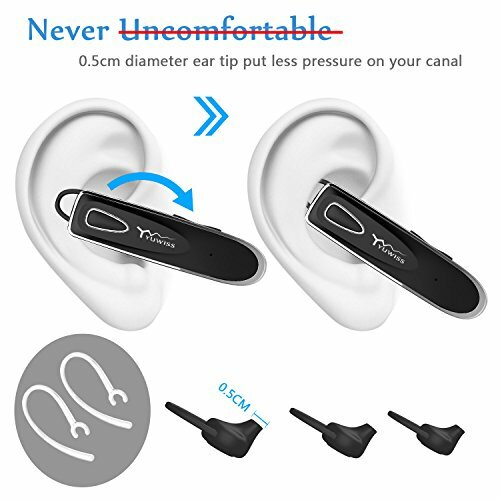 Only 0.3 ounces, bring less pressure to your canal, you hardly feel this Bluetooth headset for cell phones in your ear. 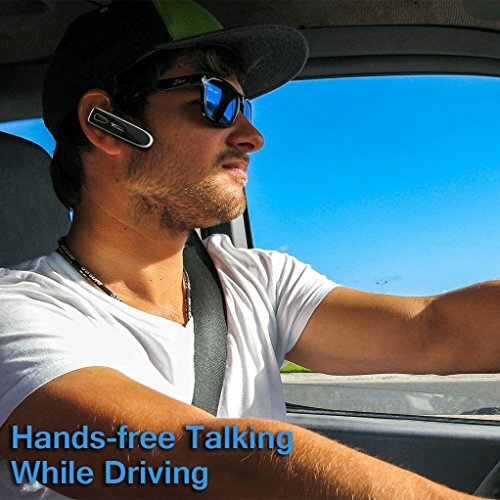 HANDS FREE TALKING: Adopting Noise cancelling microphone, this Bluetooth headset with mic prevents you from background noise (CVC 6.0), and have a fluency conversation with your friend and families. 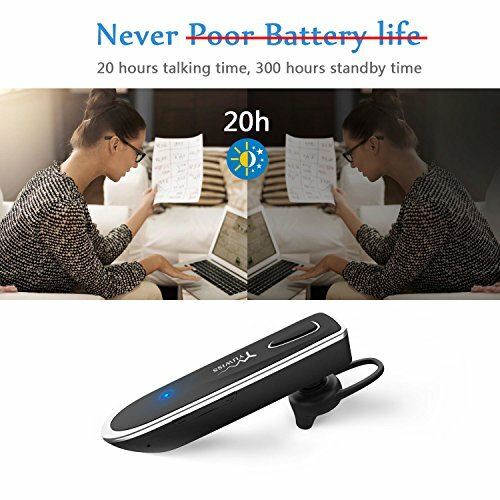 LONG BATTERY LIFE: This Bluetooth headphones with mic has 7*24 hours super long standby time, up to 20 hours talking time. Advanced button design supports last dialing, volume control, song skipping, “Siri and other voice assistants” summoning. PAIR WITH ALL SMART PHONES: Yuwiss Bluetooth headset for cell phones is highly compatible with iPhone 7 7s Plus iPhone 6 6S iPhone 5 5c 5s iPhone SE, Samsung Galaxy Note Edge Notepro Galaxy Nexus Galaxy S5 S6 S7 and other iOS and Android smart phone and tablet. BEST AFTER-SALE SERVICE: 365 days warranty + under 12 hours email reply + 90 days exchange policy + 30 days refund promise=A perfect purchasing experience. 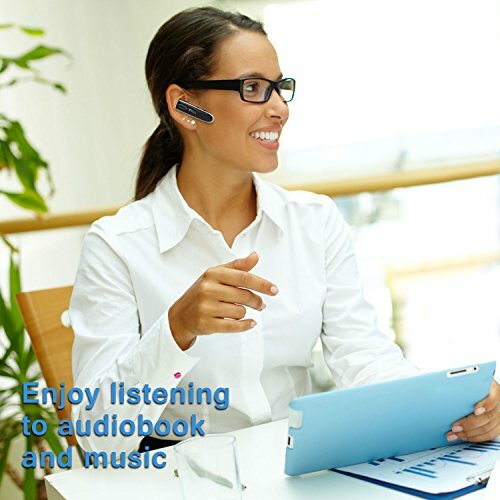 Please go and buy this Bluetooth headset for cell phonesyou are driving, listening, or in business trip etc.